Among many ways to travel from Vietnam to Cambodia, one of the best choices is by Mekong express boat. 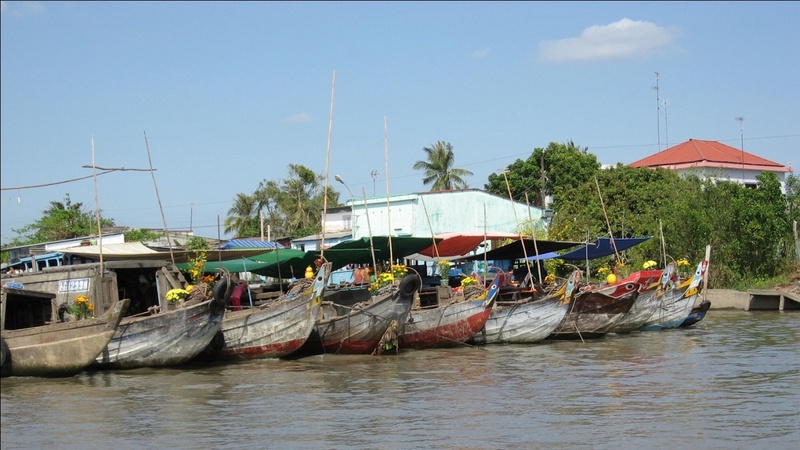 A place you must put in your holiday in Vietnam is the Mekong Delta with colorful market and friendly people. Deeply discovering the impressively mysterious landscape and taking an express boat from Chau Doc to Phnom Penh, what’s an awesome combination! 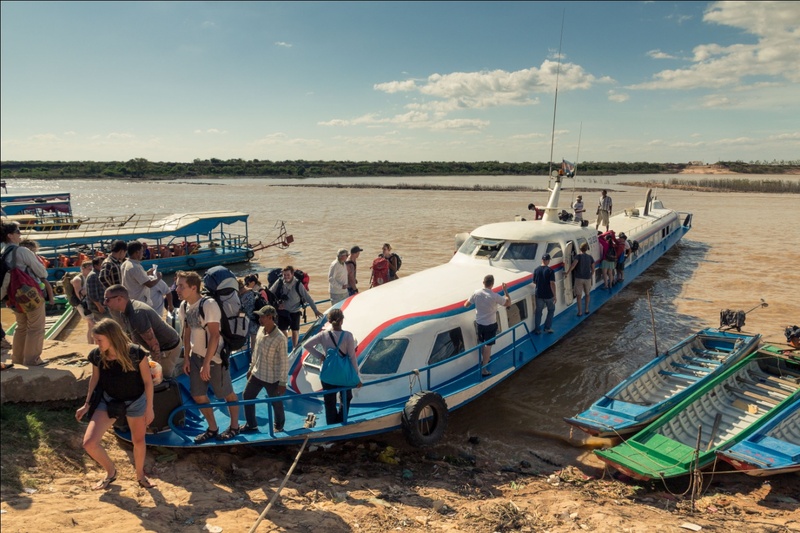 These kinds of the Mekong Delta tours connecting to Phnom Penh require at least 3 days. Considered as the pioneer operating the route from Chau Doc to Phnom Penh, Hang Chau Speed Boat runs small boats from 15 to 30 seats. All boats are fully equipped with life-jackets, toilet and a resting area for photo taking and sight-seeing, etc. 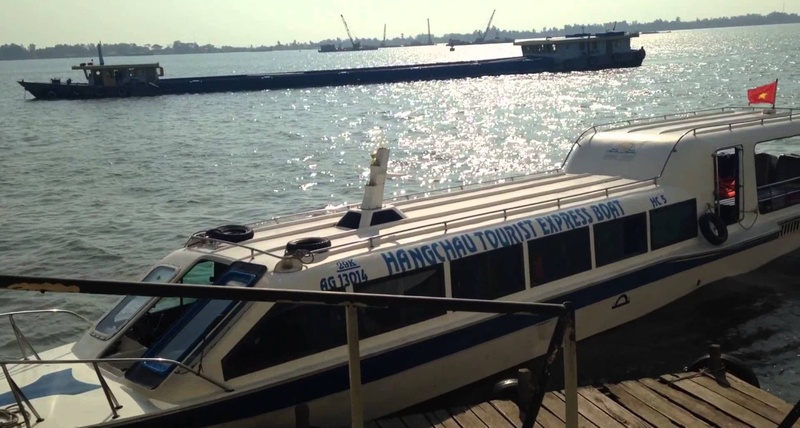 Nevertheless, Hang Chau speed boats are not really professional ones with high quality services. In Chau Doc: Con Tien Floating Restaurant: Address: Zone 5, Tran Hung Dao Street, Chau Doc Town, An Giang Province, Vietnam. In Phnom Penh: International Port: Address: No 103 Sisowath Street, Phnom Penh, Cambodia. For this route from Chau Doc to Phnom Penh, Blue Cruise Express Boat seems to be a much more professional express company. Blue Cruise owns a fleet of 6 express boats whose sizes range from 16 to 40 seats with pretty high quality services and full equipment such as: comfortable soft chair, toilet and life-jacket, etc. Bluecruiser boat departs at 7:00 AM from Victoria Hotel or Pier Café Boat Dock on Hau River to Vinh Xuong border gate. The total running time is 4 .5 hours. 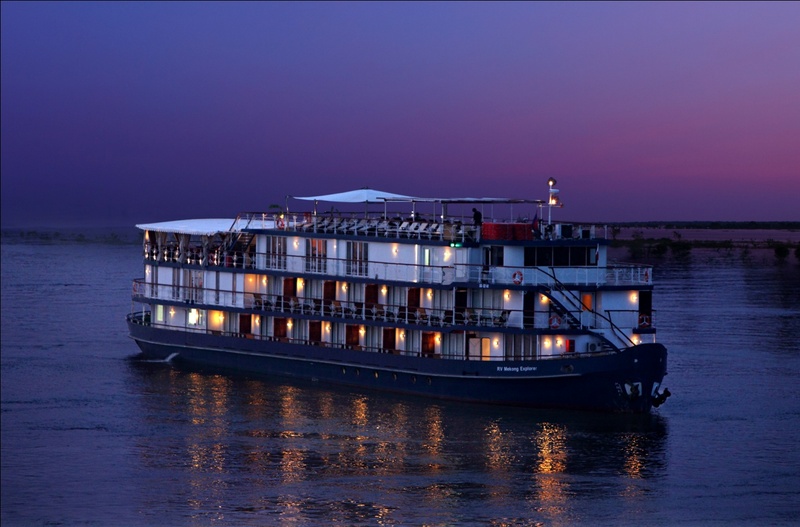 Guests will make complete entry procedures at Vinh Xuong and then go to Phnom Penh International Port on the Tone Le Sap River. Finishing traveling, you can obtain visa (e-Visa is not accepted) at the border. Expect Visa Fee and Service Fee to be $34 USD and boat crew will handle the entry process. In Chau Doc: Chau Doc Victoria Hotel Pier or Pier Café (inside Chau Doc Victoria Hotel) on Hau River. Address: No 1 Le Loi Street, Chau Doc Town, An Giang Province, Vietnam. In Phnom Penh: Phnom Penh International Port. Address: No 103 Sisowath Street, Phnom Penh, Cambodia. You can easily get visa on arrival at Cambodia customs with the rate of US$25 if you choose to take the express boat from Chau Doc to Phnom Penh. Since Vietnam visa on arrival is only applied for entering by plane at international airport, you need to get Vietnam visa at embassy before boarding if you take the express boat from Phnom Penh to Chau Doc.